Look stylish and stay comfortable at the same time by choosing to wear this trendy top. 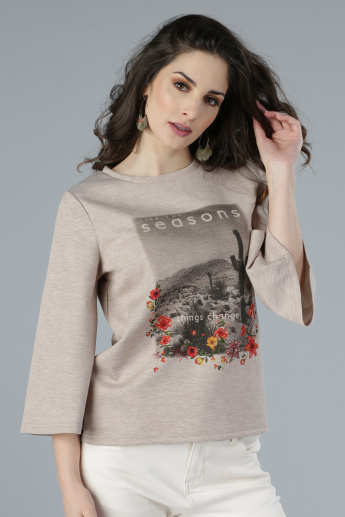 Boasting a graphic print on the front, this top looks impressive and is styled with 3/4th sleeves for added appeal. The zip closure is designed to help you wear it conveniently.